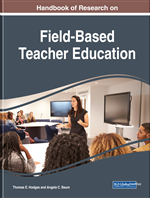 In this chapter, the authors describe two residency programs, an established urban teacher residency program, and a newly developed rural teacher residency program, and explain how the programs have expanded notions of field experiences to prepare teachers for specific schools, districts, and communities. The authors explore commonalities and connections across the programs, particularly in how each program conceptualizes the role of place in teacher education. In addition, this chapter considers differences in how each program enacts their theories of place in order to prepare teachers to learn from, with, and about the particular places they will teach within. Most teacher education programs offer generic, decontextualized preparation, intended to be applicable across a variety of schools and settings. As a result, scholars argue that many teachers are unprepared for how to learn in and from the communities they teach (White & Reid, 2008; Zeichner, Bowman, Guillen, & Napolitan, 2016). Teacher education programs must also prepare teachers to learn from and with the communities both inside and outside school walls. Teacher residencies have been created with the understanding that teacher education should be place specific because urban and rural schools face distinct institutional challenges (Matsko & Hammerness, 2014; Williamson, Apedoe, & Thomas, 2016), and can provide unique avenues of support through community and social support networks (Gadsden & Dixon-Roman, 2017; Oakes, Franke, Quartz, & Rogers, 2002). Building on calls for prolonged and intensive field experiences at the core of teacher preparation (e.g., Guha, Hyler, & Darling-Hammond, 2017; NEW AACTE Clinical Practice Commission, 2018), teacher residency programs immerse teacher candidates (known as “residents”) in PK-12 schools over the course of an entire school year under the guidance of a mentor teacher, often alongside coursework leading to a Master’s degree. A key characteristic of the residency program model is the explicit partnerships with specific urban and rural districts to recruit, prepare and support teachers in hard to staff certification areas in under-resourced schools (Guha, Hyler, & Darling-Hammond, 2017). In this chapter, the authors highlight two residency programs: an established urban teacher residency program in New York City (Teaching Residents at Teachers College, or TR@TC), and a newly developed rural teacher residency program in northern New Hampshire (University of New Hampshire Teacher Residency for Rural Education, or TRRE), then describe how the programs have expanded notions of school and community field experiences to prepare teachers for specific schools, districts, and communities. The authors represent faculty and staff who have occupied a variety of roles in the two programs including Program Director, Partnership Coordinator, Director of Pedagogy and Clinical Practice, and research assistant. One author worked at both residency programs, and drew upon her experience working with TR@TC to inform the development of the TRRE program. She also continues to work with the TR@TC research team, allowing for opportunities to collaborate and cross-pollinate across programs. These programs have many commonalities and connections, particularly in their commitments to preparing teachers who understand and draw upon the places they teach within and about. There are also significant differences between the programs as well (see Appendix).